Mr. Luther Lee “Buddy” Ellis, widower of the late Ruby Conner Ellis, passed away, Monday, November 12, 2018, at Peachtree Center in Gaffney, SC after an illness. He was 94. Born in Aynor, SC on April 29, 1924 to the late Jessie James and Julia Souls Ellis. He was the owner operator of Ellis Carpet in Tatum. Mr. Ellis was a member of the United States Army having served during WWII as a rifleman. He was also honored in Washington for his service by the Honor Flight accompanied with his grandson Brandon Moss. He attended Eastside Baptist Church, where he was an usher at the Church. 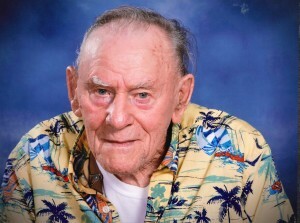 He enjoyed fishing, building, carpentry and visiting with people and was a giving person. He is survived by his son, Nickey Lee Ellis (Paige) of Atlanta, Ga.; daughters, Linda Tucker (Robert) of McColl, Billie Hearn (Dennis) of Cartage, NC, Jan Moss (Dennis) of Gaffney, SC; 11 grandchildren, 12 great grandchildren, and 5 great great grandchildren. He was preceded in death by his parents listed above; wife, Ruby Conner Ellis; son, Jimmy Evers and McCray Evers; granddaughter, Lisa Newton; 3 brothers and 2 sisters. A funeral service will be held 2:00 pm, Thursday, November 15, 2018 at the First Baptist Church of McColl, with burial at Rogers Cemetery, officiated by Rev. Bobby Mumford. A visitation will be held from 1-2pm at the Church on Thursday just prior to the service. Memorials are suggested to: Eastside Baptist Church 201 N. Church St. McColl, SC 29570. On-line condolences may be made to rogersofmccoll.com. Rogers Funeral Home is honored to serve the Ellis family.